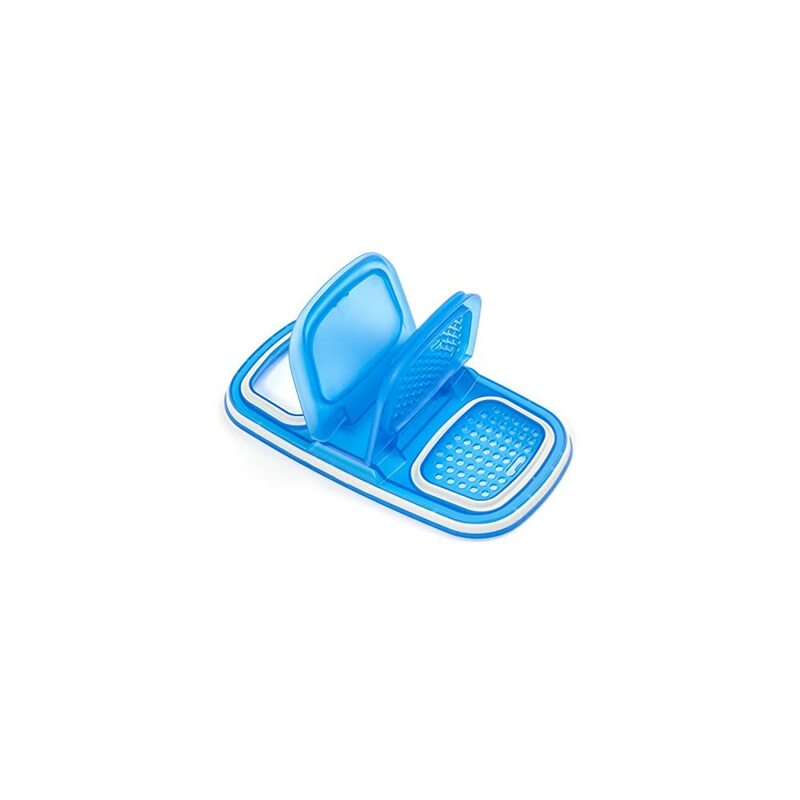 – Clear plastic construction lets you identify contents at a glance. 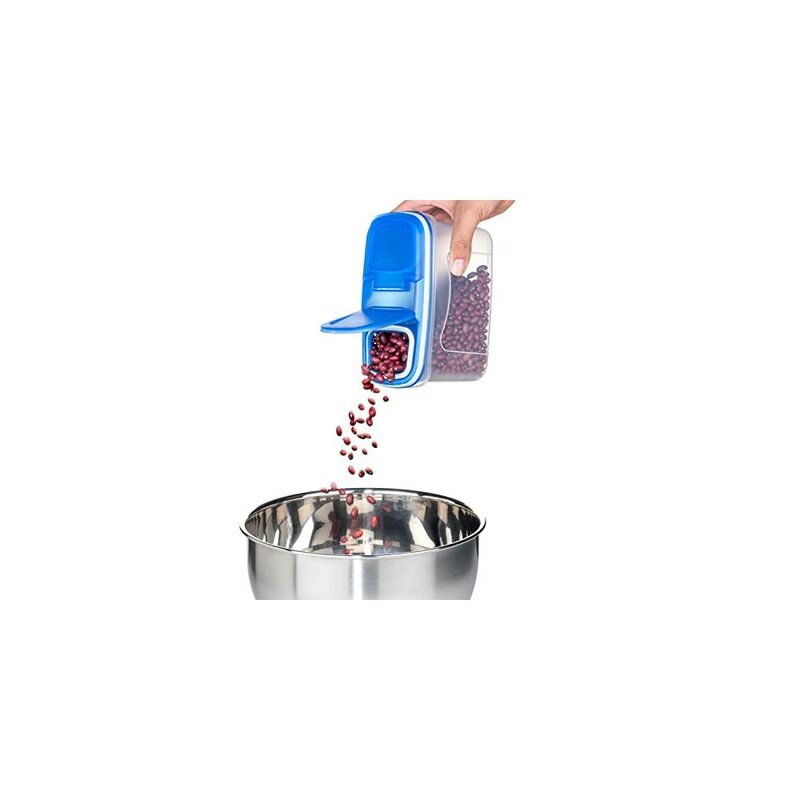 – Measuring scale/ Graduation Marks on Containers for easy measurements. 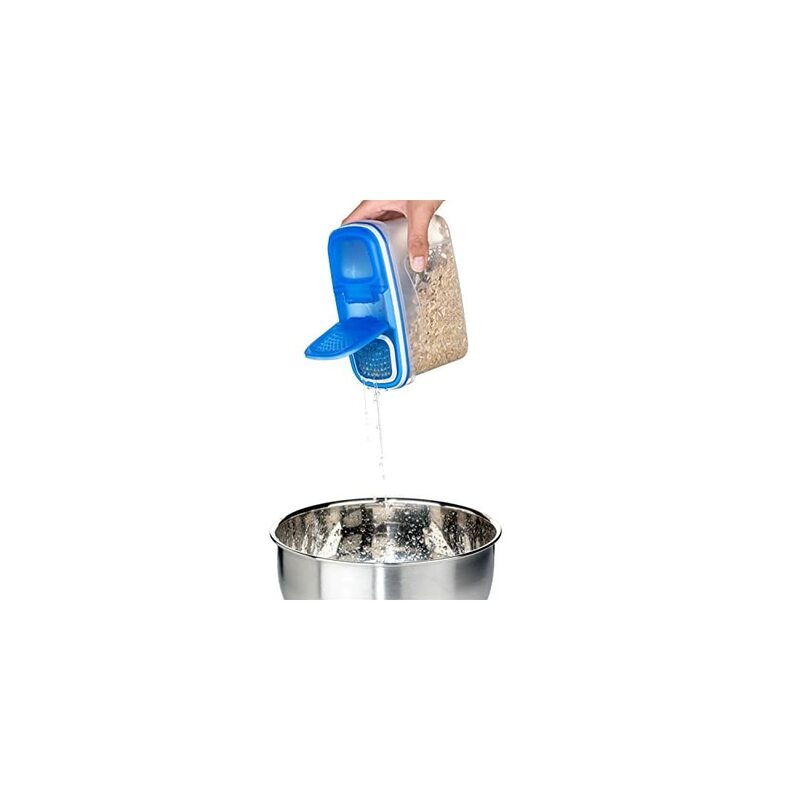 – Freezer, Refrigerator, Microwave and top rack Dishwasher-Safe. 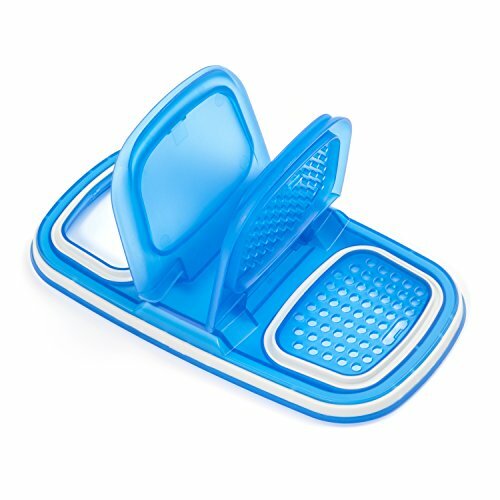 – One lid fits multiple bases. 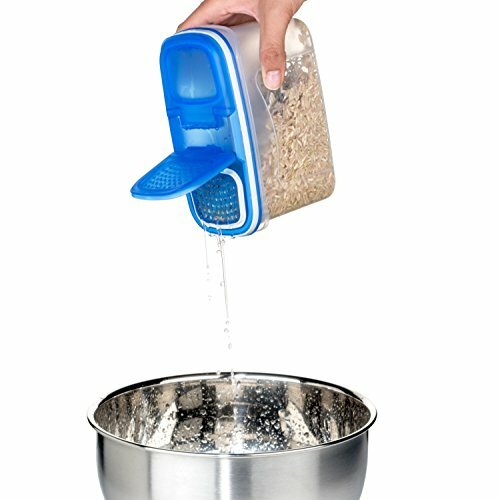 – Air-tight Dual Utility Lids with Easy Pour and Conventional Side. 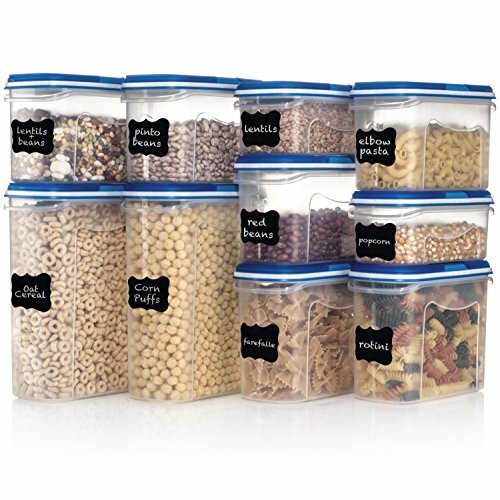 – Containers nest for easy storage. – Free Labels (18) & Marker included with your purchase ! Every time I go to Wal-Mart I go straight to these type of items because I’m in need of these but not sure if they keep bugs out so I end up walking empty handed. From reviews it sounds like these are good anyways so I will have to get these.. I hope these come back in stock. this type of container has been invaluable in the multi-year battle with the plague of meal moths unleashed by a lower-quality bag of birdseed. Just die already! 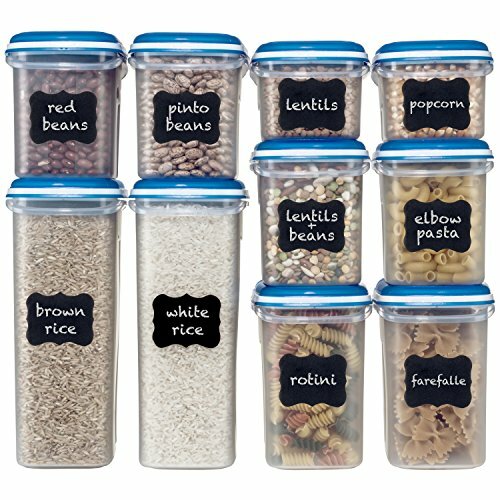 I love the versatility of these,pantry,jewelry,crafts.A clean clear plastic that is well made and at a great price. 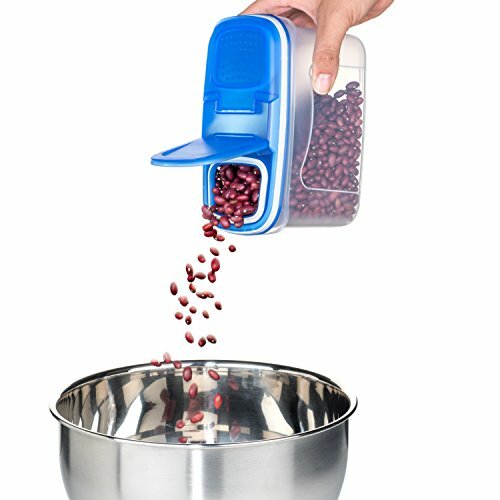 These containers are great. 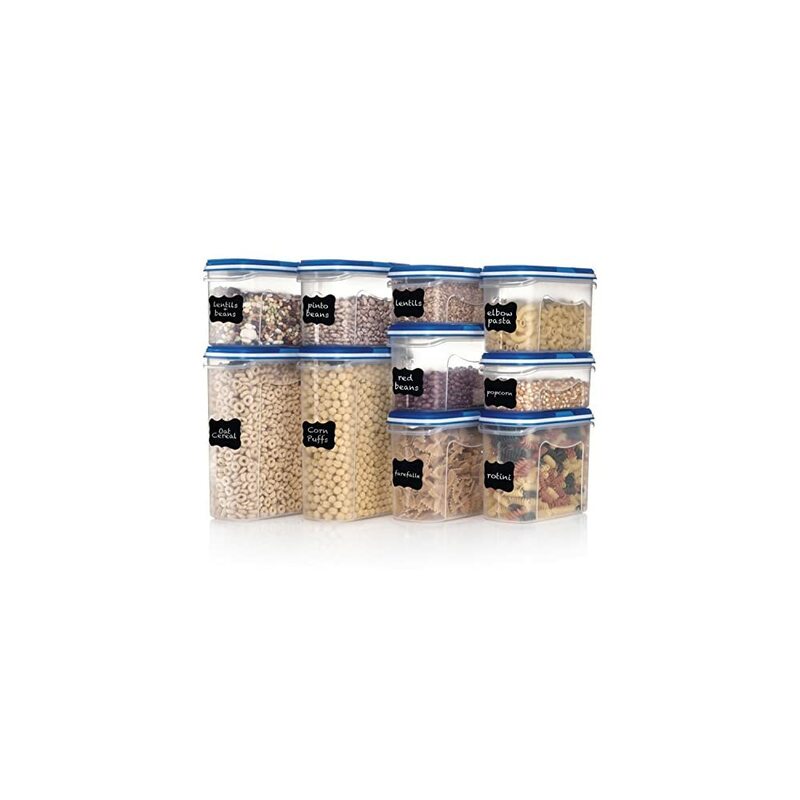 Not only are they easy to see through they help to organize your cupboards keeping things neat and tidy. These are fantastic contianers. Used to organize my pantry! Great price! As I have said, if a product is supposed to be plastic, it must be made from recyclable plastic!